As a new driver you will take time to develop hazard perception skills through gaining driving experience over time and across lots of different driving situations. Experience and practice will be the main teachers. Remember that the aim of the Hazard Perception Test (HPT) is to help you develop hazard perception skills that will make you a safer driver. This will also help make the road safer for other road users. You should be developing your hazard perception skills from the day that you get your Learner's Permit. This guide will help guide you, but can never be a substitute for experience gained on real roads and in real traffic. Keeping a safe distance from other vehicles. Selecting safe gaps when turning, crossing traffic or changing lanes. Scanning for hazards ahead, behind and to the side. Apply these skills effectively and they will help you deal with the unexpected situations that can arise when driving. You can't learn any skill properly from a book or a website. You need to get out there and practise to develop and improve your skills. 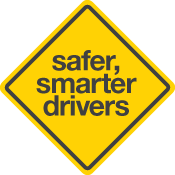 Ask older, more experienced drivers to help you - it will make the roads safe for them, too. Good luck with obtaining your P1 provisional licence and safe driving!